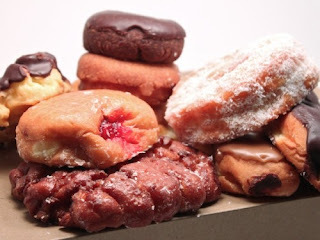 The Donut Directory: The Donut Directory is growing! The Donut Directory is growing! In an effort to continually keep you up-to-date on the best new regional donut shop discoveries, the Donut Directory list is continuing to grow; much like my waist line. Today we have the addition of 5 new shops in the greater Boston and surrounding local with reviews and feedback to follow in the coming months. Coming soon we'll have stories on the best regional players, weekly donut comments and a new segment starting shortly called..."Where's Tony eating a donut", think Where's Waldo meets the Traveling Garden Gnome, only it's Tony's hand with a half eaten donut somewhere random. For now please check out these new local favorites. Throwing Donuts, the name says it all.